Nakala, spiritual author and channel, is suddenly awakened in the middle of the night by a phone call from her deceased brother. Even though connecting to the realms of spirit is an everyday occurrence for Nakala, this particular event brings to the forefront feelings of suspicion, dread, and anger. He asks her to meet her the next day in person in a public place. Is Nakala merely having a lucid dream or is this a tangible experience that is far beyond her scope to fully comprehend? What is the true reason behind his request? 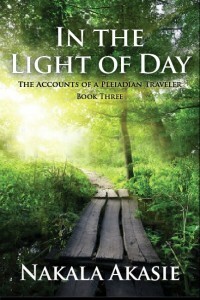 Throughout the story, Nakala is guided by her Pleiadian family, the Akasie, taking her through many unique life scenarios that teach her the ways of the masters and the path of Oneness. 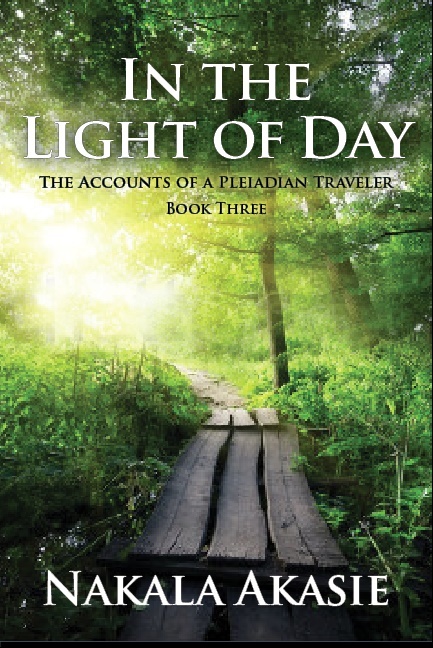 Does Nakala choose to be her authentic self—to walk In the Light of Day?